Let the timeless wilderness of the Grand Canyon’s North Rim captivate your soul at one-of-a kind Toroweap. 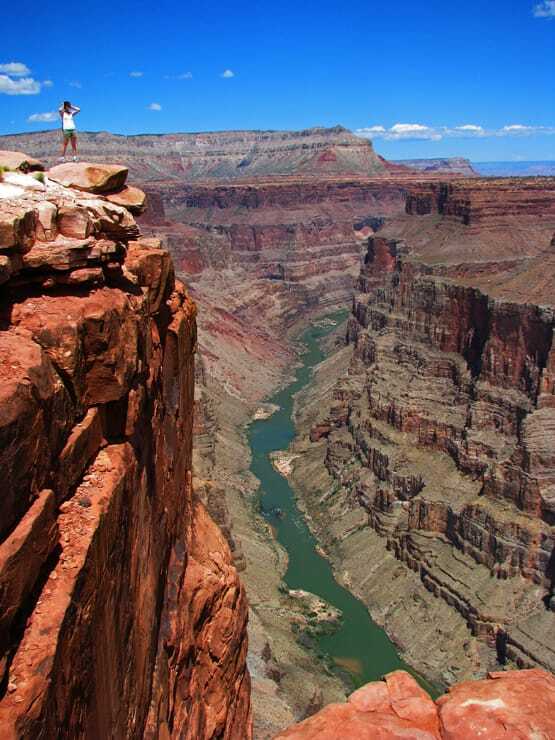 Our natural, private Grand Canyon Tours to Toroweap are second to none. On the busiest days of the year one might see 20 people the whole day. Usually there’s few to none. There are no rails, no signs, no pavement, no buses, no commercialism. Tuweep has been featured by National Geographic and Peter Lik and ranks #5 on Trip Advisor for all of Grand Canyon National Park. This is a huge testament of its ability to move people considering only 1 in 10 visit the North Rim, and probably only1 in 10 of them leave the pavement. (paved portions of the North Rim are closed October through May). 8 hrs. Adults: $190, Children 15 and under: $95. Minimum $380. For more info please read our blog about Toroweap. For a little more variety on your Private Grand Canyon Tour try the Toroweap Tour with Rock Art Add On.